WHAT IS PYON MOO DO? Pyon Moo Do is the life work of Sabumnim James Espy, Head Instructor and founder of Traditional Martial Arts Academy. 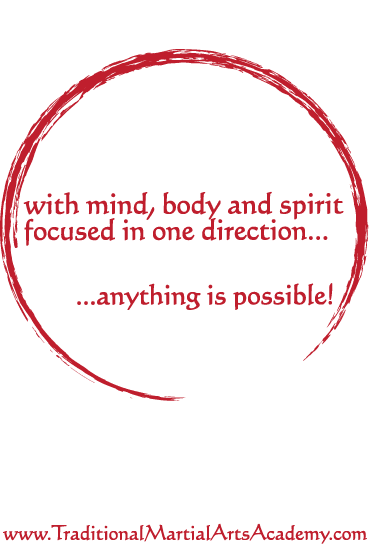 He began with a simple question: How do you train people to become highly-skilled, well-rounded martial artists who are capable of adapting to a rapidly changing world? He understands that ancient martial traditions hold great power and wisdom, but that they lose effectiveness if they can’t be applied to a modern context. So, Mr. Espy has striven to take the best attributes of the classical arts that he loves so much and adapt them to the needs of today’s world. Form: This is the study of movement and involves the practice of solo exercises. These exercises introduce the fundamentals of striking. This is also the primary source of developing the athletic martial arts attributes of power, flexibility, endurance, posture and balance. Over the course of the curriculum, your body will transform! Tactile Skills: As your body transforms, you will need to transform your sense of what an opponent’s body is doing. Whether they are striking, grabbing or trying to take you to the ground, you need to have a “sixth sense” of what their intention is. This is done through tactile sensitivity drills that are practiced with a partner. These flowing drills include striking, close-quarter weapons such as knives and sticks, stand-up grappling (clinch), and groundwork. These drills are a lot of fun! Self Defense: These sets teach the fundamental techniques of response to attacks. Once you learn a technique, then you will challenge the technique with increasing resistance with a partner until you are able to confidently apply it under stress. These techniques are further refined with the athletic development from Form training and with the tactile flow and intelligence that comes from Tactile Skills training. Sparring: This is the laboratory for martial arts training. Form, Tactile Skills and Self Defense all come together in the dynamic, unpredictable arena of sparring. Sparring in Pyon Moo Do is not competitive. You are not trying to beat your partner, nor vice versa. Instead, you are working with your partner to challenge your skillset and deepen your understanding of technique. Sparring, like the other three tracks, is approached progressively. It begins at Yellow Belt with students only using their hands. Anyone sparring with a Yellow Belt is also restricted to hands-only. This allows the student time to get familiar with a specific range before adding to it. At Orange Belt, kicks are added. At Blue Belt, standup grappling (Randori). And so on.